In order to get StoneEdge downloading orders and products from you AmeriCommerce online store, there are a few steps that need to be completed. 1. Gather a list of order statuses. A List of your current order statuses can be found here. The statuses above will need to be mapped to these StoneEdge statuses. To map the order status, match the order status in AmeriCommerce online store to the order status in Stone Edge. This is Case Sensitive. 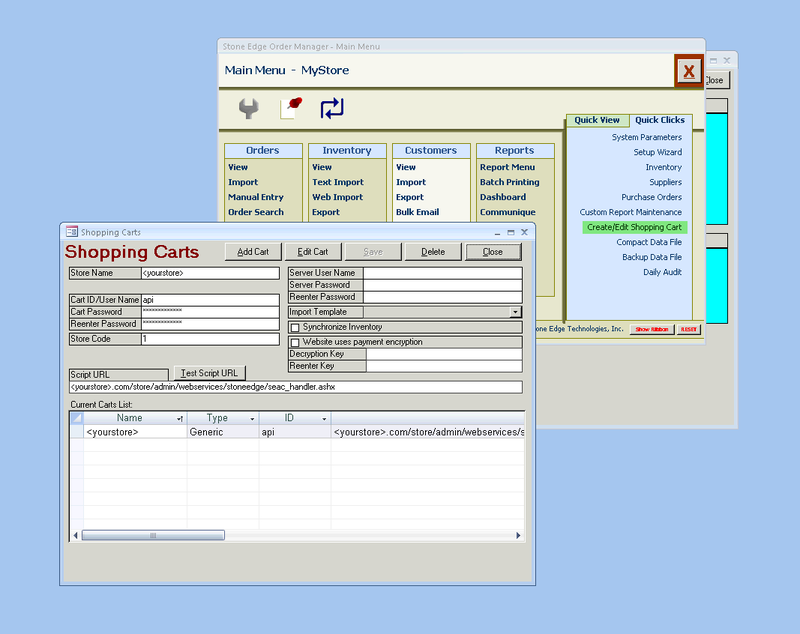 Create a new cart in StoneEdge (or use existing). Create a new user in AmeriCommerce with API access. Here is a KB on how to create new users. The following sub group is only for Generic Carts. 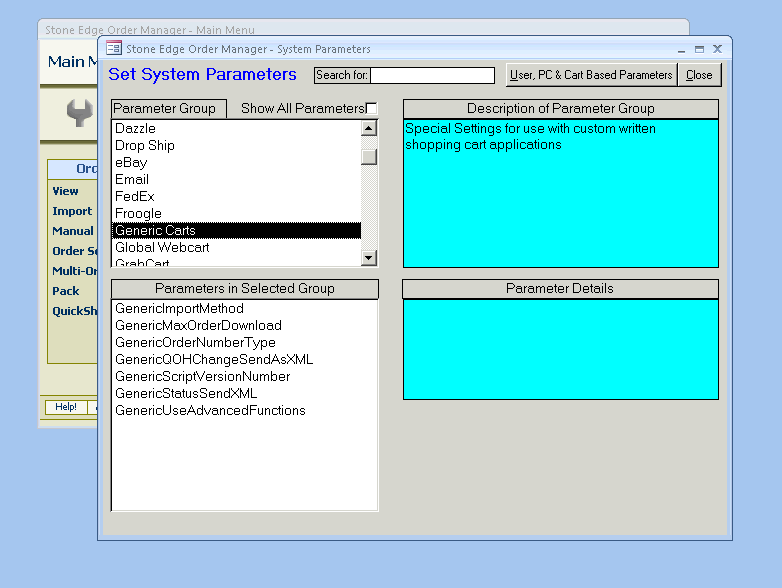 Navigate to System Parameters and select Generic Carts from the Parameter Group list. Set GenericImportMethod to XML if not already. Set GenericQOHChangeSendAsXML to True if not already. Set GenericStatusSendXML to True if not already. Set GenericUseAdvancedFunctions to True if you are planning on using Inventory. Add the user credentials you created above to the Cart Username and Password in StoneEdge. Set the Store Code to your AmeriCommerce online store ID. Note: To download from multiple stores, put 'All' as the Store Code. Any non-numerical text will work as well. Add ‘<yourstore>.com/Store/Admin/WebServices/StoneEdge/seac_handler.ashx’ as the Script URL. The store code is required. It is sent as a token to our system. The user name use admin in place of the email address. It expects the user name used for the account in your AmeriCommerce online store.